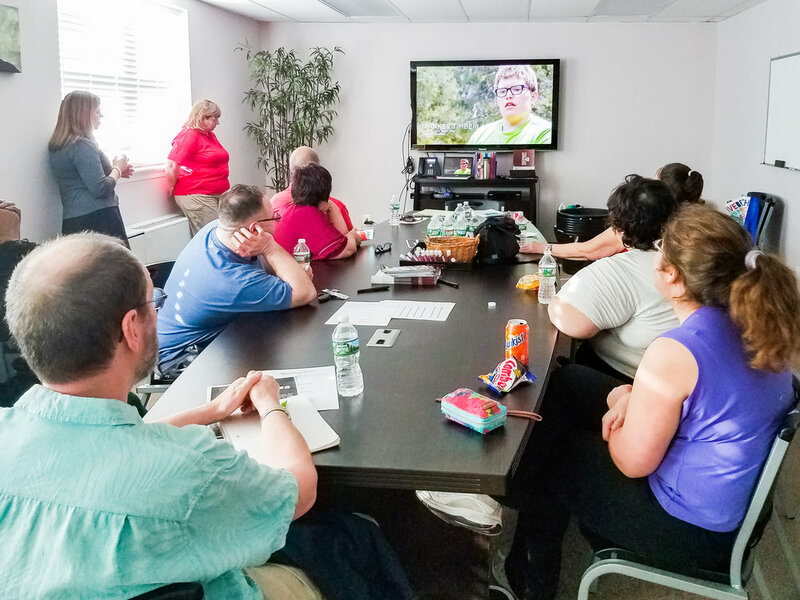 Members of the newly-formed ACI Turtle Scuba Club listens to a presentation by Debby Miller, Scuba Coordinator and Scuba Instructor, and Caroline Willardof the Adaptive Scuba Program at Rutgers University. The purpose of this information session was to learn about the certification programs and experiences offered through Rutgers for those with individuals with disabilities. The club is arranging to have a scuba discovery experience at the Olympic size pool at Rutgers in Piscataway. Posted on May 3, 2018 by Brian Mazzarella and filed under Workshop.